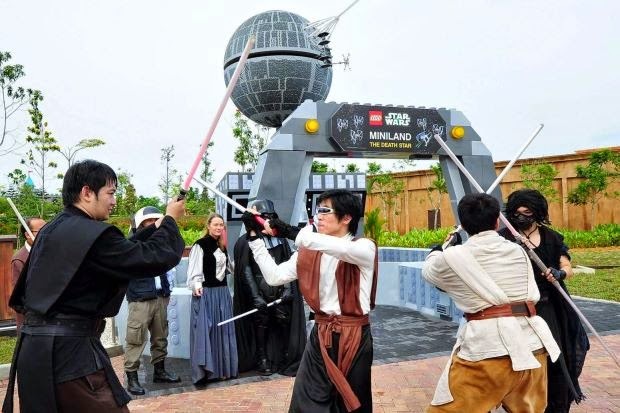 “Star Wars” is getting its own mini-land model display in Legoland Malaysia Resort. May the Force be with the theme park visitors who will have to jostle through the throng of “Star Wars” fans who are sure to flock the attraction once it is opened this 6 September 2014. Set in a fully air-conditioned octagon building, 2,000 Lego models based on the movie series built on a scale of 1:20 will be put on display. According to The Rakyat Post, some of the top attractions are life-size models of C-3PO, Darth Vader and R2-D2 which are built using more than 80,000 Lego bricks. There are seven scenes recreated from the movie series. One of the scenes is from the animated series “Star Wars: The Clone Wars” whereas the rest are from the “Star Wars” feature films. The building will be divided into several areas. Upon entering, visitors will be taken into a pre-screening area where they can watch the Lego “Star Wars” movie. Next they will walk through time as they follow the chronological walk through the “Star Wars” timeline, which will feature the planets Christophsis, Endor, Geonosis, Hoth, Kashyyyk, Mustafar, Naboo, and Tatooine. Afterwards, they will reach the Hall of Fame and this is where the visitors will be able to take pictures with the other main characters of “Star Wars” such as Yoda, R2-D2, Chewbacca, Princess Leia and more. 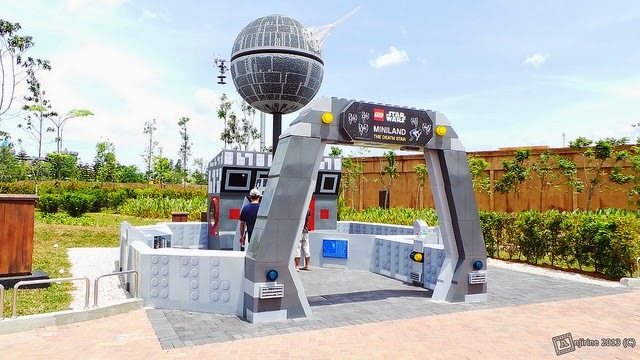 According to Mark Germyn, Legoland Malaysia Resort’s general manager, the large-scale “Star Wars” Lego attraction will be the first of its kind in Asia. The indoor attraction is scheduled to open on 6 September 2014, in conjunction with the resort’s second year anniversary. In that spirit, the theme park is allowing annual pass holders the chance to enjoy a special preview from 1 September to 5 September before the attraction is opened to the public. Between 6 September until the end of the month, children who come dressed as their favourite “Star Wars” character will get to enter for free. Currently, Legoland Malaysia is home to the world's biggest Death Star Lego model which is on display for the public.